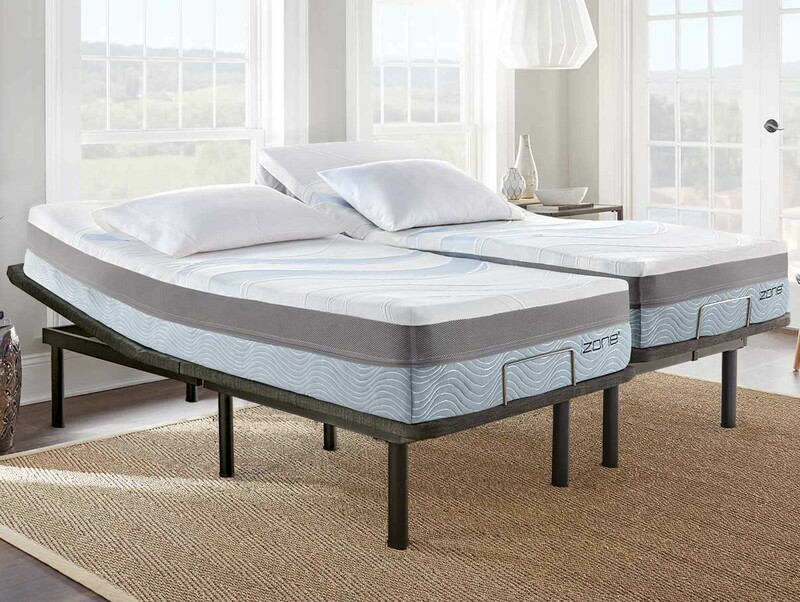 Your new izone bed becomes so much more versatile when you add the optional MotoFlex adjustable base to your izone bed purchase. 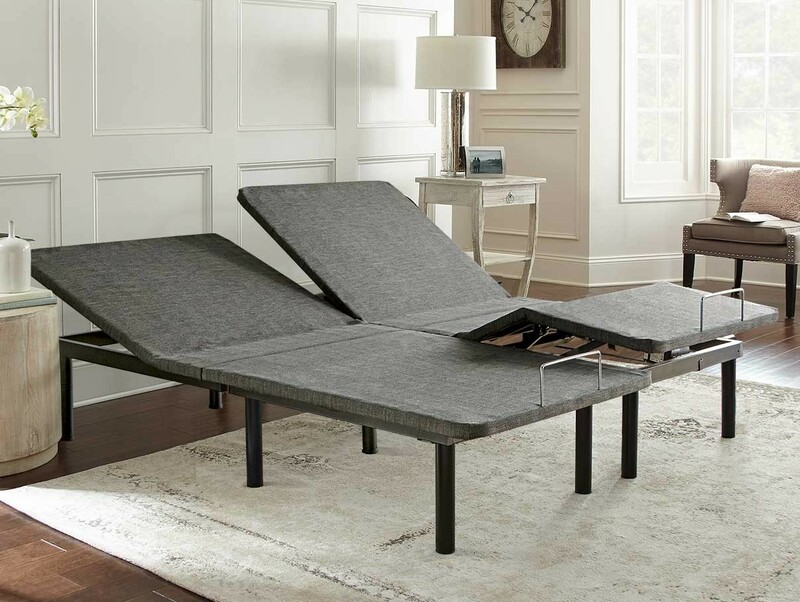 Create a calm, stress free environment where you can truly relax and recharge. 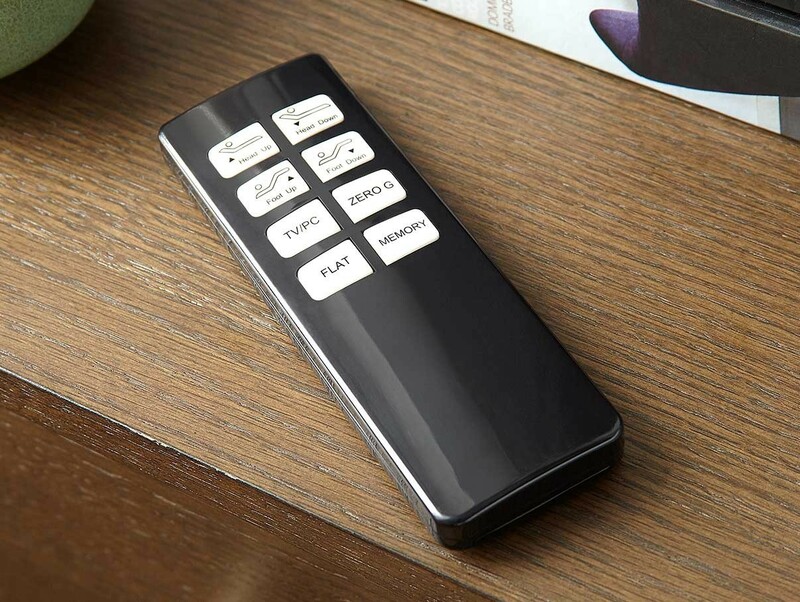 The wireless remote puts you in control of unlimited comfortable rest and sleep positions. 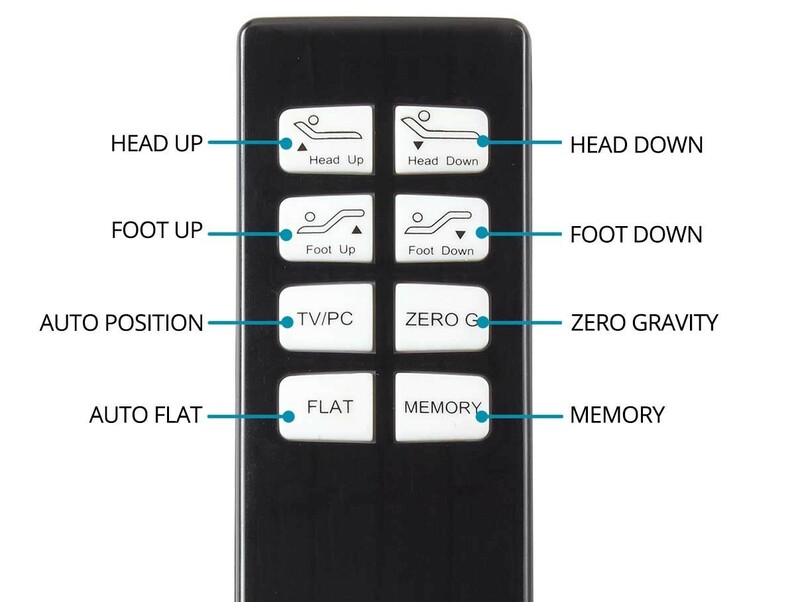 Includes an ergonomic hand control to elevate your head and/or feet to your most comfortable position – whether you're sleeping, reading, texting or watching TV. 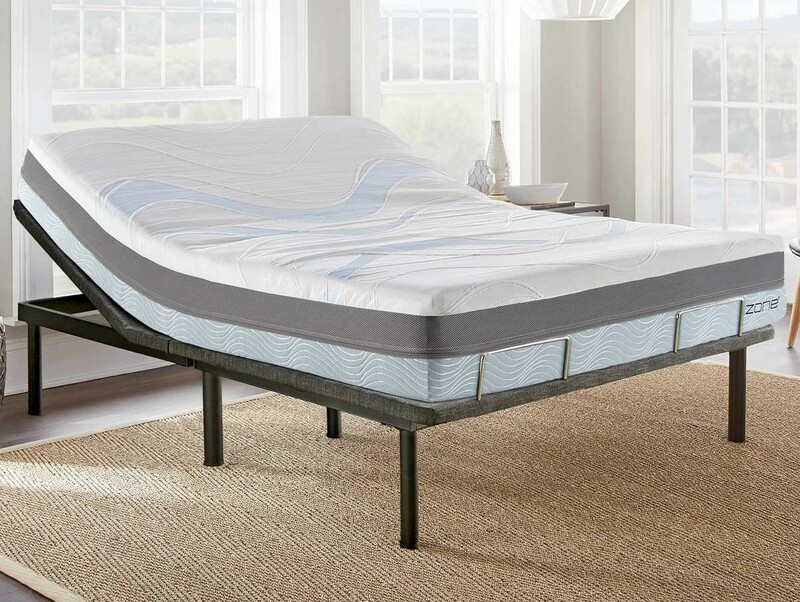 The MotoFlex adjustable electric bed frame can help create a much more inviting and comfortable sleep environment. 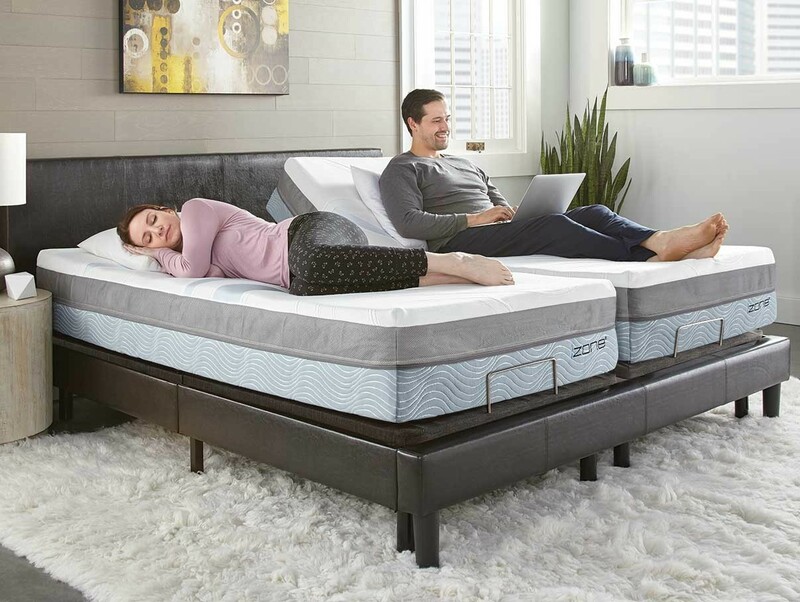 Whether you are watching TV, reading, working on a laptop or sleeping, there is a position that will best suit your needs. 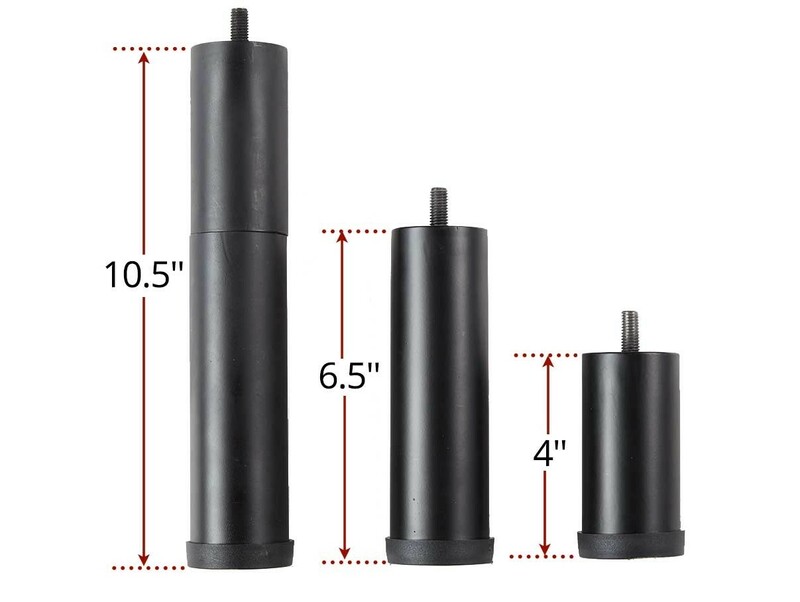 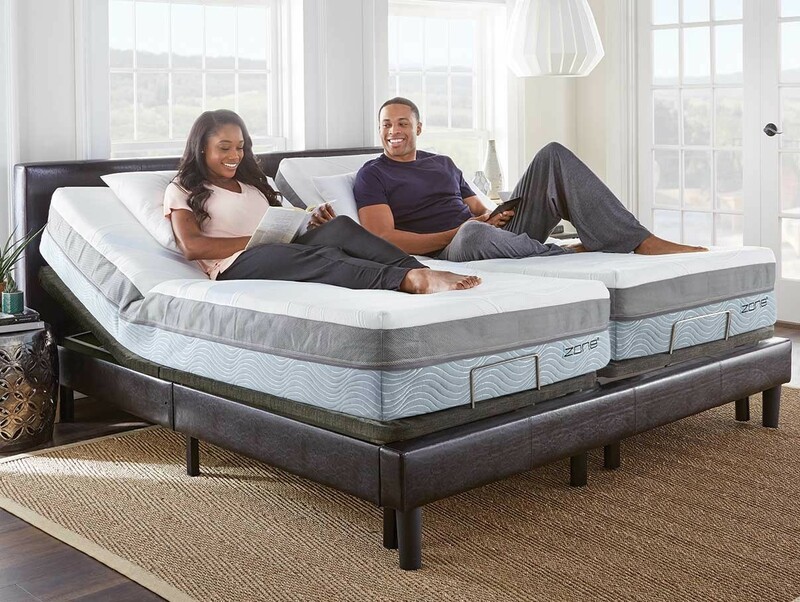 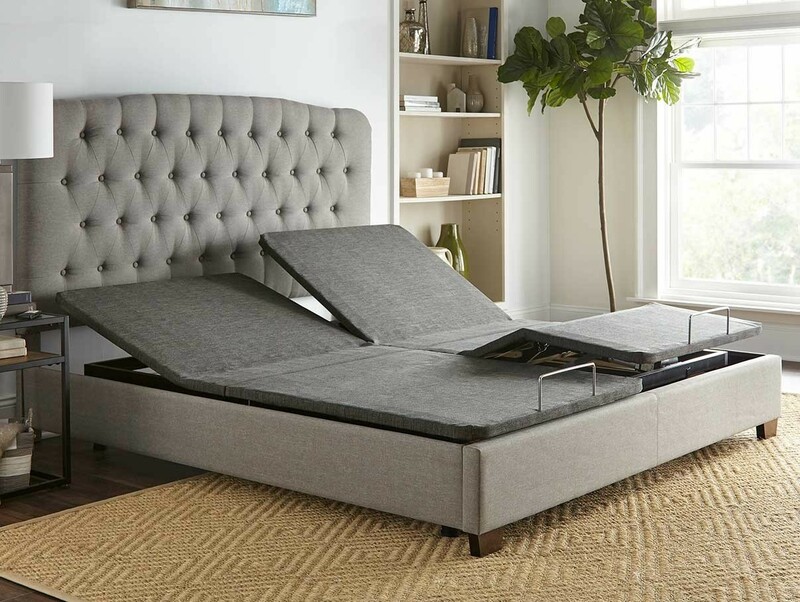 The health benefits of sleeping on an adjustable bed are endless, as it allows you to fine tune your bed in order to reduce the pressure or stress on your muscles and joints. 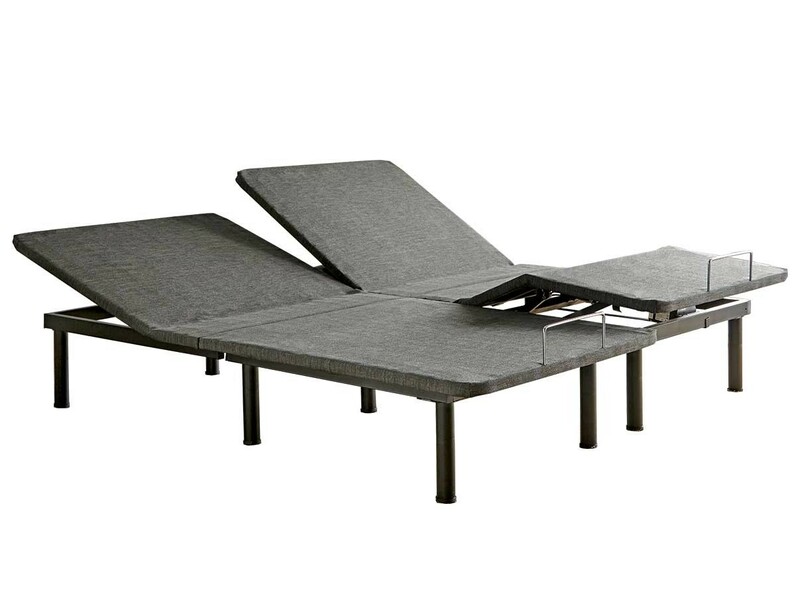 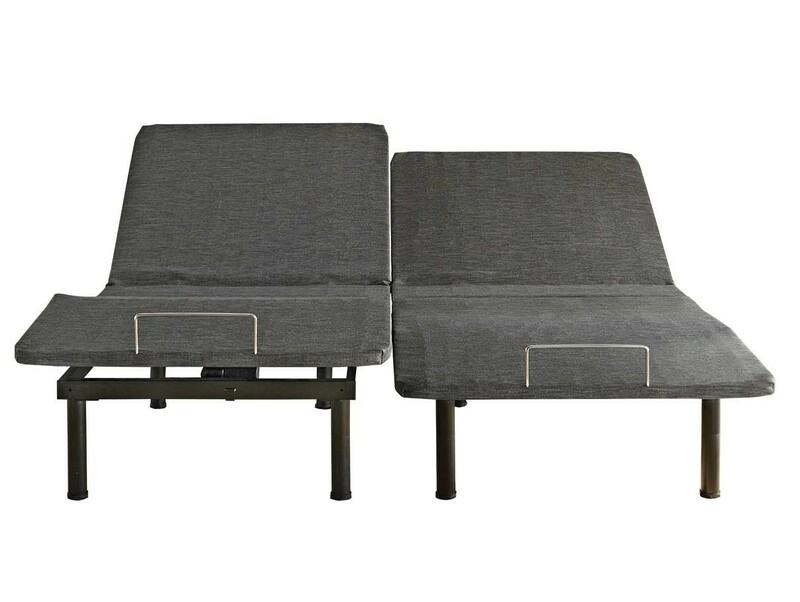 The MotoFlex adjustable base will fit inside a traditional bed frame and is easy to operate. 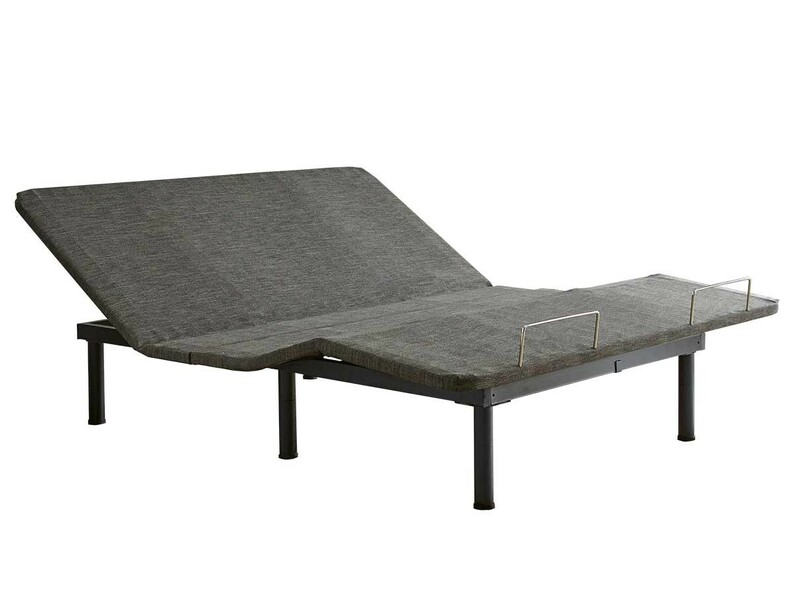 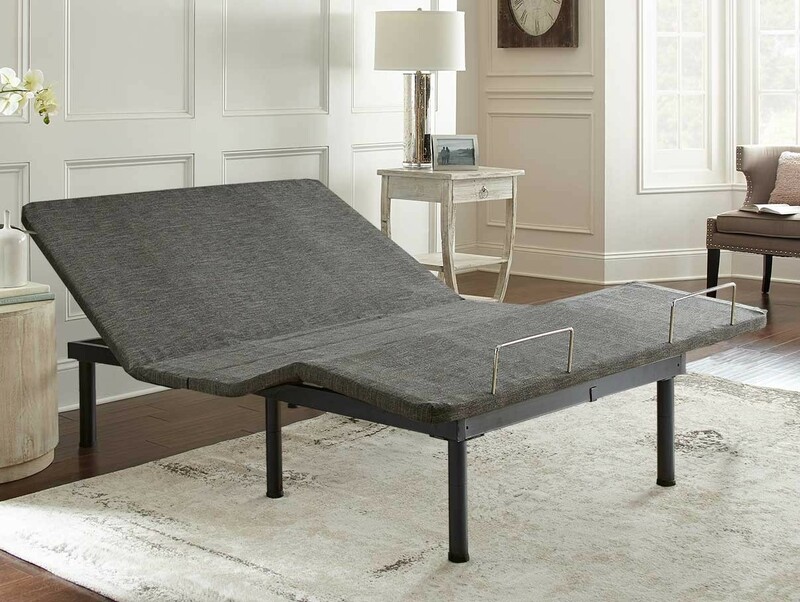 This bed includes a wireless ergonomic hand control to elevate your head and/or feet to your most comfortable position.